Mind360 is committed to enhancing and maintaining people’s mental fitness through a new cutting-edge online cognitive training platform. Their brain training games are designed to help strengthen key cognitive functions including Memory, Attention, Executive Functions, Thinking and Reasoning, Visual Perception, all in enjoyable ways. Mind360 has teamed up leading cognitive psychologists with game designers to create both fun and effective ways to boost and sustain users’ mental health. Beyond regular brain teasers, Mind360’s scientific brain training games promise a simple user-friendly interface, captivating graphics and engaging games - all designed to encourage users to visit to the site and workout on a regular basis. More than ever, corporate, public health and academic institutions are capitalizing on the invaluable benefits behind these “smart” brain games by providing them respectively to employees, members and students. Executive functions are regarded as higher-level cognitive abilities which enable us to carry out independent goal-directed behavior successfully. These functions include the ability to prioritize our selective attention, solve problems, and formulate proper decisions. These particular skills play a vital role in our day-to-day capability to inhibit undesirable actions while executing preferable ones. Attention is the gateway for conscious information processing. It is the cognitive process that enables us to focus and process certain data while ignoring other. Since our ability to process data is relatively limited, our attention mechanism is crucial for performing everyday activities. Thinking and reasoning skills are critical for solving problems quickly and efficiently. They include good decision-making, abstract thinking, arriving at favorable conclusions, and correctly selecting from among various choices. 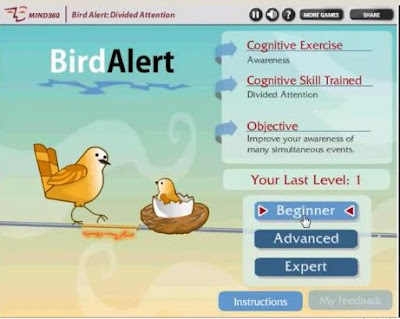 To ensure rapid progress, throughout each brain training game users are provided with Systematic Measure, Report and Track (SMRT) feedback indicating their cognitive strengths and weaknesses, as well as recommendations on how to improve a particular skill. 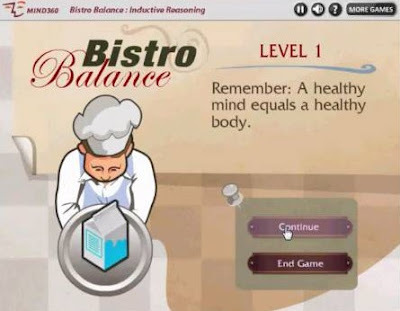 Mind360.com is a leading provider of scientific brain training games for improving users' key cognitive skills through fun and effective techniques. Cognitive abilities trained include: memory, attention, executive functions, thinking and reasoning, and visual perception. Users select their own Personal Training Program which comes complete with a personal trainer and constant feedback to ensure their swift and noticeable progress. 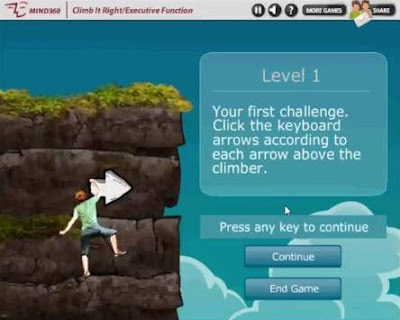 Mind 360 is currently in Beta, but you can register and play the Climb It Right game for free.